Here are 288 remarkably lifelike drawings of animals; horses, dogs, lions, cows and bulls, stags, and goats. So detailed and so accurate are these drawings that this book has long been a classic work of its kind. The animals are shown in three ways: external full views and dozens of details (paws, head, eyes, legs, etc. ); beneath-the-skin drawings of musculature and of the positions and insertions of each muscle; and skeleton drawings of the bone structures that support and determine surface contours and configurations. In addition, special cross-sections dissect those portions of the animal — such as the head and limbs — that are most important to the artist. 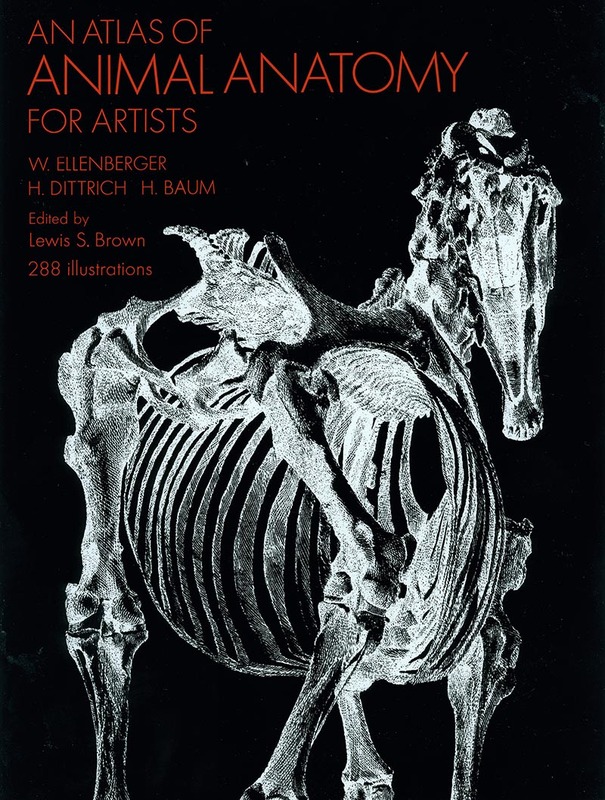 For this edition, Lewis S. Born of the American Museum of Natural History collected 25 plates from George Stubbs's Anatomy of the Horse, long unavailable; Straus-Durckheim's Anatomie Descriptive et Comparative du Chat; and Cuvier and Laurrillard's Anatomie Comparée. These plates, as fully annotated as the plates that make up the original book, supplement Ellenberger, Baum and Dittrich with anatomical drawings of the monkey, the bat, the flying squirrel, the rat kangaroo, the seal, and the hare. Mr. Lewis also provided a new preface and added to the annotated bibliography, which now contains 66 items.